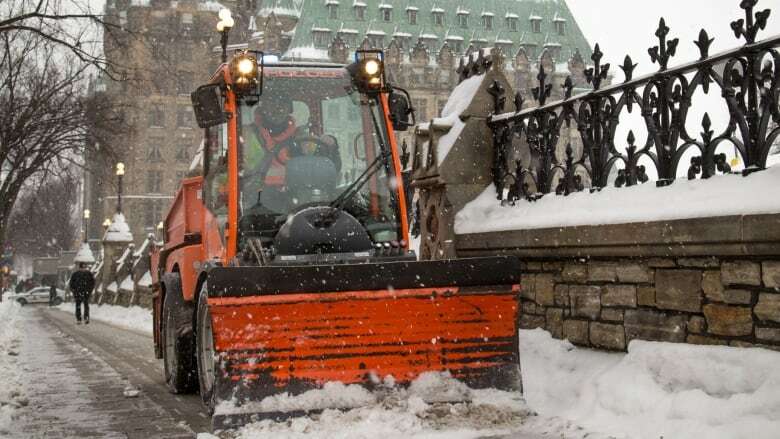 For the seventh year in a row, the City of Ottawa overspent its budget for clearing snow and ice from the area's streets and sidewalks, ending 2018 with a $7.2-million snow maintenance deficit. For the seventh year in a row, the City of Ottawa overspent its budget for clearing snow and ice from the area's streets and sidewalks, plowing more than $75 million into winter maintenance for 2018. It allotted $68.4 million for the work, but as the city closes the books on last year, figures show the city's roads department spent $7.2 million more than that. Budget documents show the city's winter operations crews dealt with rain, freezing rain or snow 98 times over the 2018 calendar year, which spans two different winters. Crews also had to handle 89 freeze/thaw cycles and 91 hours of freezing rain. During budget deliberations in early March, public works manager Kevin Wylie noted the winter that's on the way out has been especially severe. Asked by councillors why the city doesn't try to better budget to meet reality, Wylie pointed out the city has steadily bumped up the allotment for winter maintenance in recent years so that it's now in line with the costs of an average winter, if he looks back over the past 10 years. Spending aside, staff also intend to review the city's standards for how well and often it clears snow and ice by the winter of 2022-23, because they have not been revisited since amalgamation.